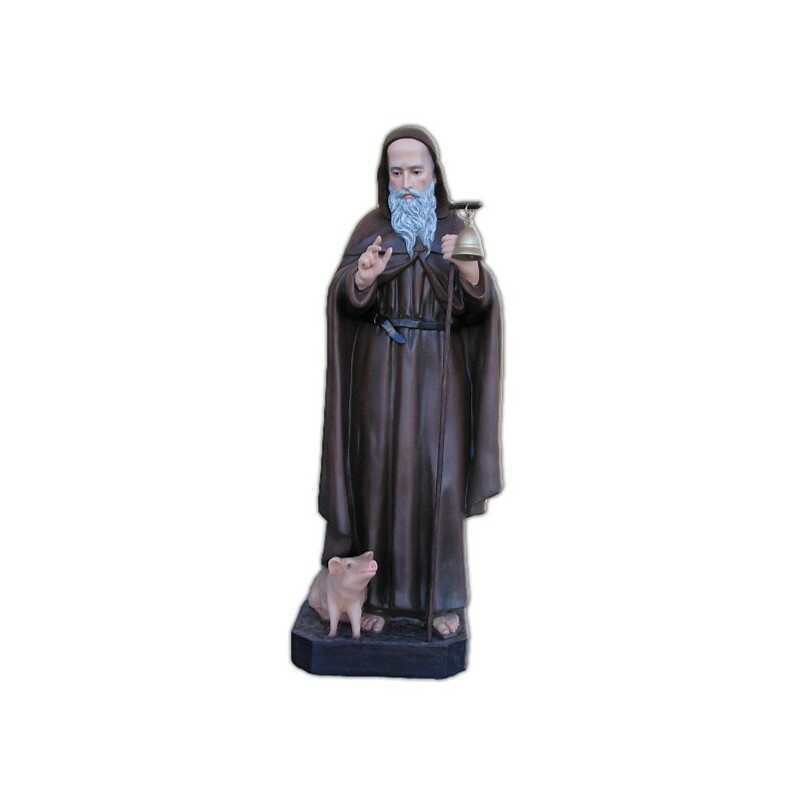 Statue of Saint Anthony the Abbot of 120 cm. Statue of Saint Anthony the Abbot, 120 cm of fiberglass, handmade in Italy. 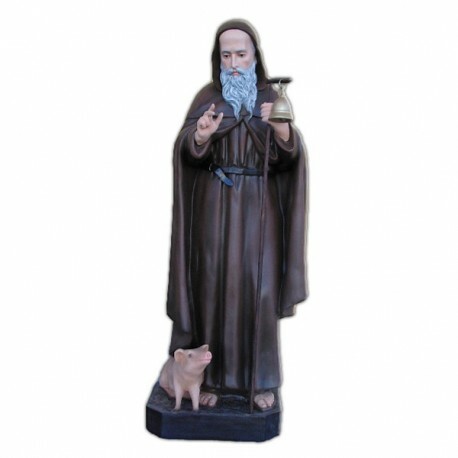 Saint Anthony lived between 251 and 356. He is commemorated on the 17th of January. He is the patriarch of the monks. He was born in Egypt and when he was 20 years old he decided to live in poverty as an hermit. Around the 305 he founded two communities and for this reason he became popular in all Egypt. He was friend of St. Athanasius and when he was 90 years old he accused the Arians of heresy. Anthony died in the Mount Coltzum. He is illustrated with a long walking stick and with a pig. Sometimes he is represented with a torch. The tradition tells us that Anthony is the protector of the animals.